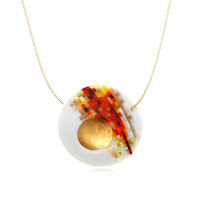 At Jewellog, our handmade jewelry also includes what's termed as art wear, a definition given to a jewelry item that was created as a serious expression of art as well as an ornamental piece. 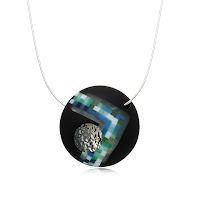 Typically, jewelry art wear is created by artists who exhibit their work in art galleries or museums, and/or have been featured in recognized art publications. 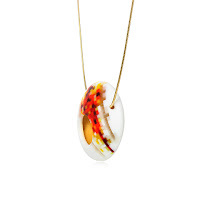 These art wear pieces are not only gorgeous to add to your wardrobe, but due to their inherent uniqueness and beauty, are also highly collectible. 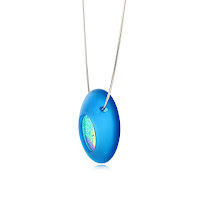 A marvelous example of art wear at Jewellog.com is the Orb Series. 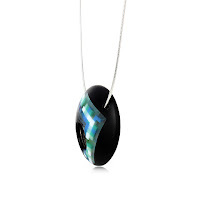 This collection is designed by Dolores Barrett, a master glass artist that has been churning out breathtaking jewelry art wear for the past 10 years. Her main inspiration for this collection was the Roman Pantheon and its most mysterious feature: the large opening or oculus in the ceiling. 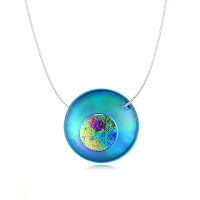 Each orb has a round opening into its interior, a kiln-fired layer of gold or silver, or dichroic glass, depending on the piece. This fascinating design feature creates a play of light that gives each art wear piece its own dynamic character and allure. See the entire Orb Series art wear.